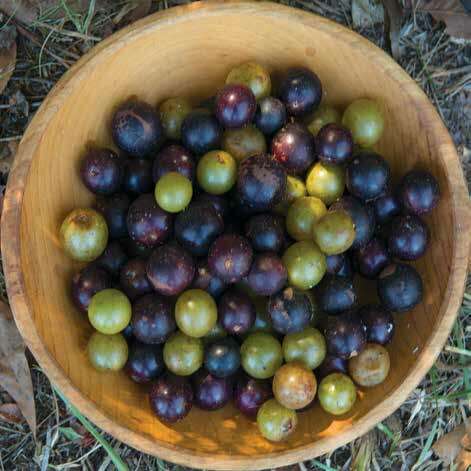 A bowl of muscadines (purple) and scuppernongs (green). It should be noted that Rosa Hall is a true southern cook. She adds and subtracts accordingly. Muscadine hull cobbler is a very simple and delicious dessert made from the hulls of muscadines and/or scuppernongs. Rosa Hall makes this dish in a Dutch oven over an open fire when camping, though it also does well in the oven. The only special item you need is some cheesecloth. For the fruit-challenged, if they are purple, they are muscadines; if they are gold or light-colored, they are scuppernongs. Though purists may throw rocks at us, it matters not to the cobbler; you can even mix them, though the purple ones look best. The muscadine hulls are usually thrown away in the making of jelly and wine but are used in preserves and this unique cobbler. In the 1890s, Emma Rylander Lane created what she called her "Prize Cake," due to the fact that her recipe earned her several awards in baking competitions. 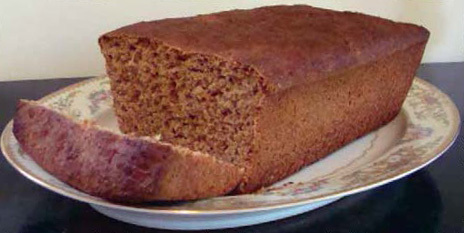 But on the advice of a friend, Lane eventually christened the delicacy after herself, and the cake appeared as "Lane Cake" in her 1989 cookbook, Some Good Things to Eat. Below is her original recipe. The University of Alabama Press reprinted a cookbook published in 1878 by the women of the St. Francis Street Methodist Church, Mobile. The new edition, with an introduction by George H. Daniels. Taken as a whole, Gulf City Cook Book illustrates the diet, economic situation, and some of the traditions of Mobile's upper-middle class at the end of the 1870s. In Alabama Heritage Issue 18, a portion of Professor Daniels' introduction is reprinted along with selected recipes. Below is a recipe for Oyster Soup and Sliced Sweet-Potato Pie.